Don't have anything official, but shoxlax and I believe Wichita State is actively recruiting 6'7 forward Trey Wade from Marietta, Georgia. Trey is currently a sophomore at South Plains CC in Texas. 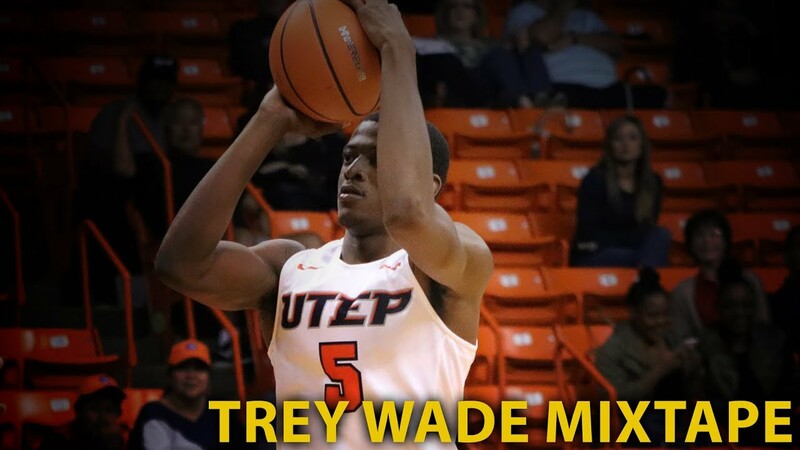 Trey played his freshman season at UTEP, averaging 7 points and 4 rebounds while shooting a respectable 35% from three and 48% from the field. Currently averages 14 points and 7 rebounds for a very good South Plains that has multiple D1 prospects and is #2 at the NJCAA tournament. South Plains defeated Trinity Valley (Jaime Echenique's old stomping grounds) last night 82-75 and will face Eastern Florida State in the quarterfinals tomorrow at 1 PM. #23 on this 2019 list of top 100 juco recruits. South Plains lost in the semis, as did Coffeyville. Finals are Vincennes vs Ranger, Tx. Glad to see he reversed his FT percentage this season -- 8-24 at UTEP, this year basically up to 2/3 makes instead of misses. Maybe the altitude in El Paso threw off his shot. Not one of his better games Friday night in a semifinal loss; a little birdie told me Lou Gudino attended the game. Every player has tough games during their career. Young man is a good shooter with great balance when shooting the basketball. He or Ntambwe (UNLV) transfer would be welcome additions to the 4/3 position. He’s got the build... a solid frame. It might be best that he didn’t have a better semi-final game; less fisherman. Again, he is built like a brick $hithouse. Based off his Twitter, WSU seems to be the outlier in teams that have offered him (so far). He has offers from Seton Hall and UAB. Otherwise, Alcorn State, Jacksonville State, North Carolina A&T, Georgia State, Troy, Towson, Eastern Michigan and Idaho. Tulane could get involved with Hunter coaching their now. Seton Hall offer was for someone else. He was retweeting it. I assume he would be a 4 in the Wichita State system and at this point that is a need. Would be competing with 6-5 So. Teddy Allen and 6-8 Fr. Antoni Gordon. Would give the Shockers a pretty nice Junior, Sophomore, Freshman ladder at the 4. How about a 3 headed monster at both the 5 and the 4 to go along with the corp of guards. But you never know what it is about any particular school that catches a player's fancy. Anyone have a weight on this kid? Big enough to play the 4? UTEP had him listed at 205 as a freshman. Teddy is listed at 6-5, 220 on the Shocker roster. I have seen DeAntoni listed at various weights the heaviest was at 195 on a 6-8 frame. Markis listed at 6-8, 218 this year. Markis was listed at 6-8, 185 as a freshman. Wade looks like he is petty well put together. Not especially thick, but not skinny either. Looks like he has a frame that could carry a little more weight. I don't think you can read anything into it. As we have seen most offers seem to be conditional. Just because he calls up tomorrow and says hey I want to commit doesn't mean 3G is ready to take him. There will always be more offers than scholarships available, pin. For perspective, I just searched and located the 247Sports website for Alabama football, and it shows that to fill somewhere in the neighborhood of 25 scholarships for their next recruiting class, Bama has made 215 (!) offers. If true -- and I have no idea; I'm just going by what the site has published -- that's between eight and nine offers for every scholarship they'll be giving out. Needless to say, a high proportion of those players have already "committed" (in big-time college football recruiting, a "commitment" is always in quotation marks until the player is enrolled, the LOI is received, or both) to go elsewhere; but the offers have still been made. Some of our SN recruiting gurus have tracked the number of Shocker basketball offers in any given season, and it also always exceeds the number of spots open. So don't assume too much about what an offer to a given player means about the status of recruiting as it relates to a different player. Working that stuff out is what coaches do. Here is Rivals list of WSU recruits for 2019, 2020 and 2021, fwiw. The last player we had from Marietta, Ga turned out pretty good. Its a good landing if you can walk away, its a great landing if the plane can be reused the next day.